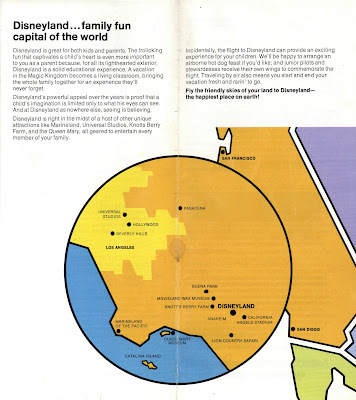 Lets take another look at United Airlines and Disneyland, this time its 1978. 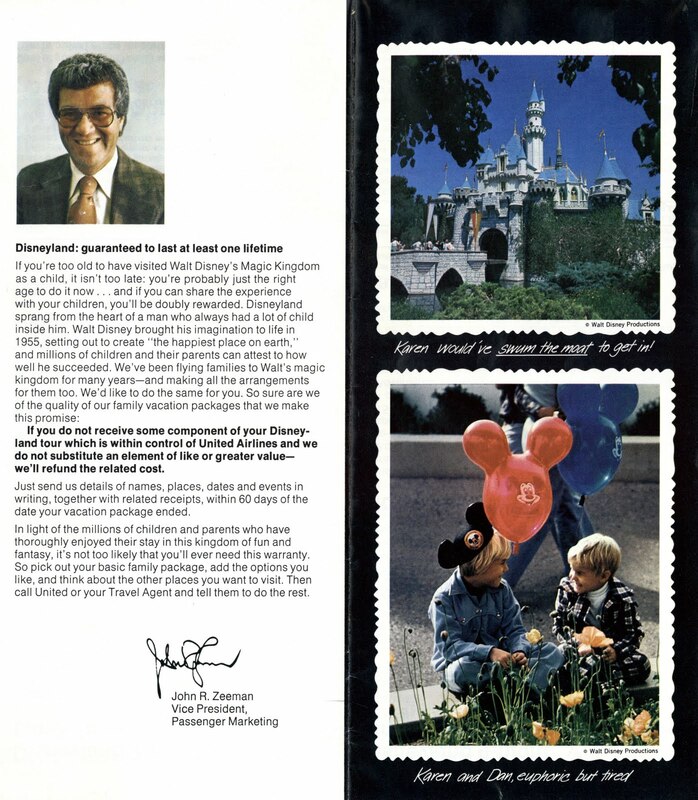 Be sure and check my previous 1977 United Airlines and Disneyland post from two weeks ago (link). Wow! 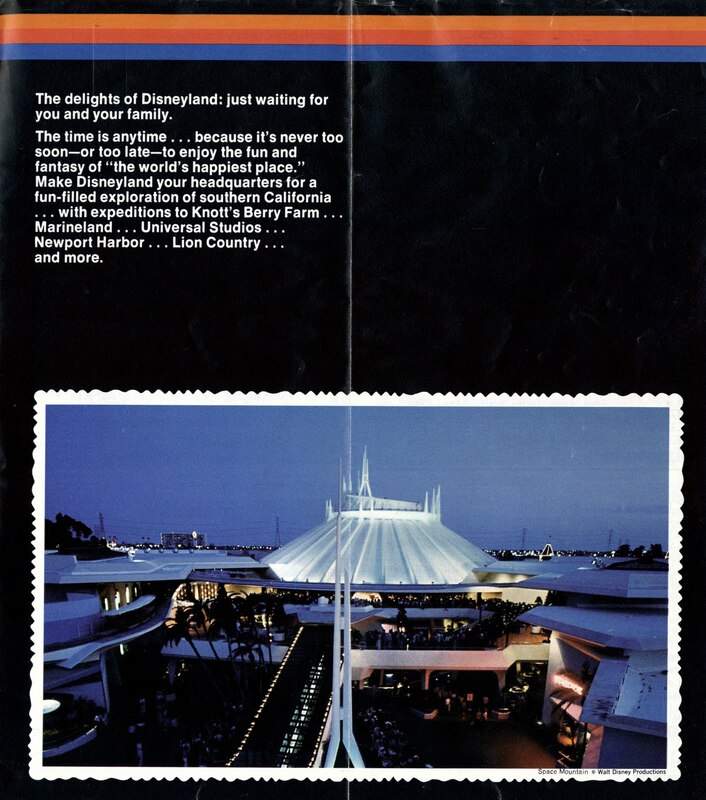 If only Space Mountain still looked like this! I miss the ramp in front and the space stage! 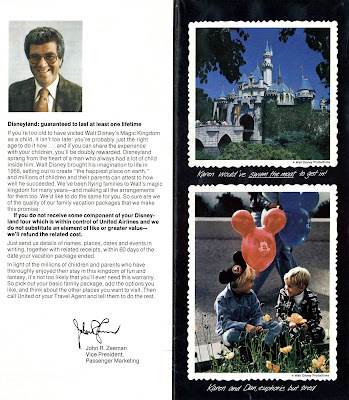 Hey that's the same castle photo from the 1977 brochure! 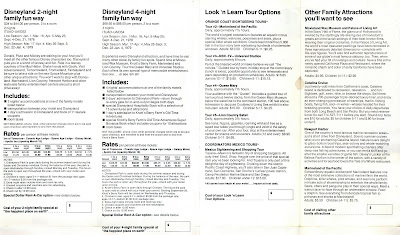 The Space Mountain photo would be worth posting all by itself! So awesome. 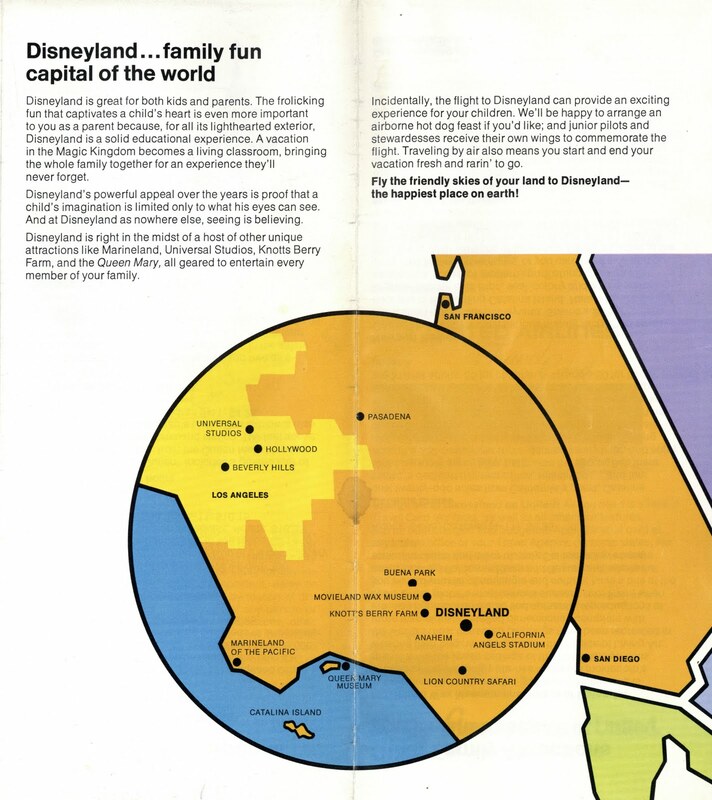 Do you think this was taken from the old Rocket Jets platform? 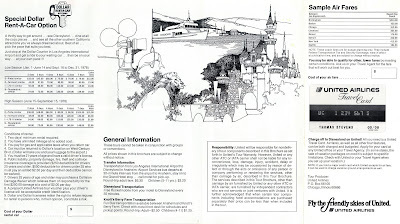 I loved that Speedramp, it was so dramatic and so ill advised to remove it. 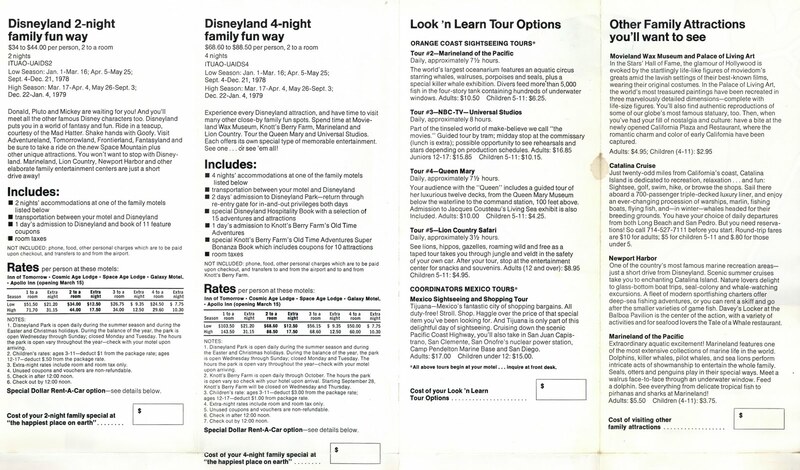 Curse Captain Eo, at least thats who I blame for having it changed. Not sure how right that was.